App Store Optimization can be setup in minutes and used both to refine the listing of existing apps and to start preparing the listing for the launch of new apps by tracking competitive apps' listings and how they rank for different search terms. If you have enabled Reporting then you can use this to deliver a weekly or monthly App Store Optimization service to your clients. In addition, if you have enabled the Client Portal, your clients can login to their own portal, that shows your branding, and view this information themselves. Kumulos groups your Apps under Clients, usually the name of the company whose app store listing you are optimizing. To add a new client click the primary action button from your agency console. Fill in the name of the client. If you are optimizing an app for someone else, you can enable the Client Portal so they can get read-only access to the search analysis for their apps. Click "Save" when done. Now, you can add an app for that client by clicking primary action button. Fill in the name of the App, and optionally, add a brief description and upload an icon. Click "Save" when done. You will now be redirected to the dashboard for that app where you can enable ASO. To start a 30 day free trial, either select ASO from the left menu or click the Start button next to ASO on the App Dashboard. 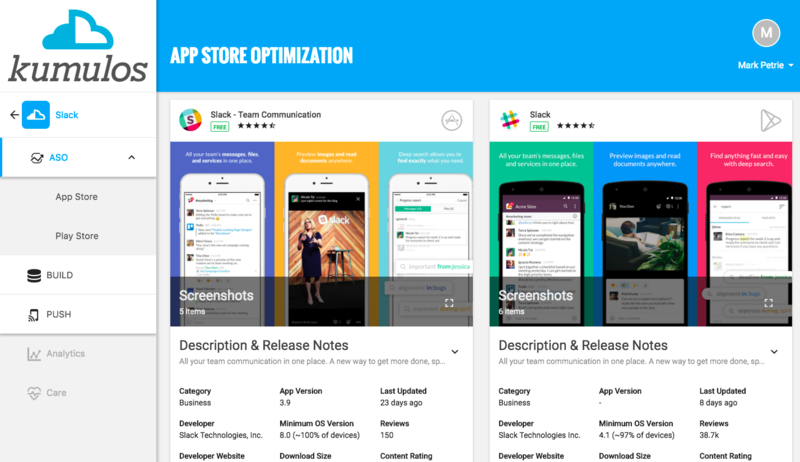 You will now see some more information about the App Store Optimization feature. Click Get Started when prompted to begin configuration. 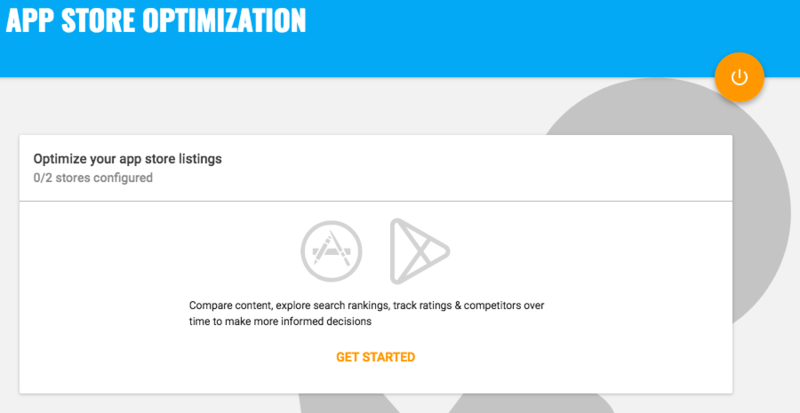 Note that you can use ASO before you submit the app to the stores to track competitive apps' listings and how they rank for different search terms so that you get the listing right when it comes time to launch! In this case, just skip the first step in the configuration wizard below. If the app is in the stores, then you need to find your app in the App Store and Play Store so that Kumulos can track how it ranks for different search terms. 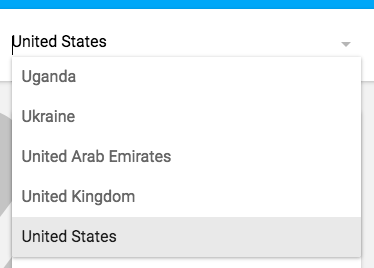 First of all select the country you wish to search (defaults to United States) from the drop-down. Enter a search term and click "SEARCH"
From the results displayed, select the app in the App Store and the Play Store. If the app is not listed, please check that it is available in the country you have selected and then refine your search term and search again. If it is listed in one store, but not another, select the app in the store that it is listed, refine your search term and search again. Once you have selected the app in both stores, click "Next" to start entering the terms that you think prospective users will search for. Kumulos lets you enter upto five terms that you think prospective users will search for so you can see how the app (if it is already available in the store) and competitive apps rank for these search terms. Enter a search term, which can be more than one word, and click "Add"
Once you have entered your search terms, click "Next" to identify competitive apps. Kumulos lets you identify upto three apps that you can compare listings against and track search rankings over time for different terms. You can search for competitive apps yourself or click "Search based on keywords" to use the search terms you entered above to search for apps. Note that when searching, your app will hopefully be shown in the search results if your listing is optimized for those terms. From the results displayed, select upto three competitive apps in the App Store and three competitive apps in the Play Store. Note you do not need to select the same apps in each store. 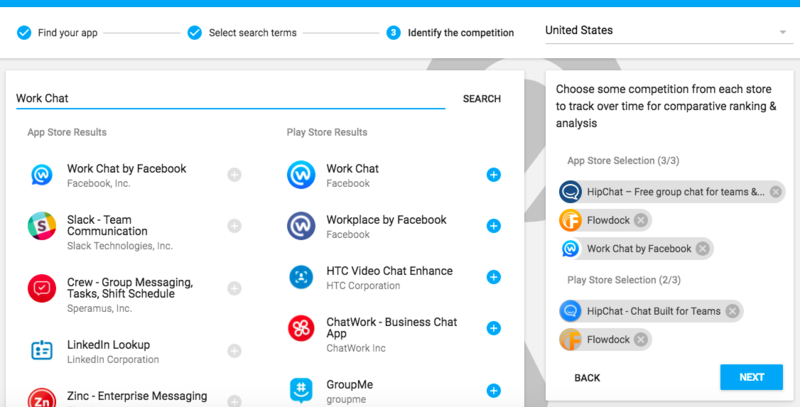 Enter different search terms as required to find all of the competitive apps. When done, click 'Next' to complete the setup and start your 30 day free trial of the App Store Optimization feature in Kumulos. Once configured, the ASO Dashboard lets you compare the App Store and Play Store listings side-by-side. Click the down arrow to expand the description and release notes for one or both stores. In the left hand menu, under ASO, you can select either "App Store" or "Play Store" to view more details about how your app is ranking in the Apple App Store or Google Play Store respectively.